Old working tools. Vintage working tools on wooden background. 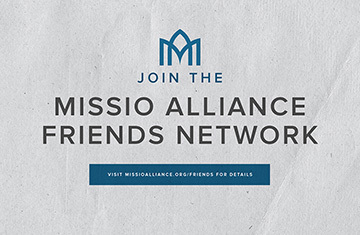 A version of this post was given as a talk at Missio Alliance’s Young, Restless, and Always Reforming conference in Philadelphia, on May 4, 2016. When it comes to Reformed Christianity in America today, David Fitch has pointed out two glaring problems: its power problem and its contextual problem. In my journey within the Reformed tradition I’ve struggled with these issues myself, so I think he makes very good points there. Yet I wonder if these problems have more to do with the historical locus of the people who have done Reformed theology than with Reformed theology per se. Socio-cultural presuppositions play a critical role in theology and practice. I wonder what the global church would do with the fruits of Reformed theology when mission is done from the bottom up. In spite of its PR problems and its gentry status in the old world—Presbyterian and Reformed, after all, had usually been associated with the wealthy and educated—the Reformed tradition has a great many treasures that are invaluable for Christian mission and life outside the Christendom. I want to identify some of these Reformed theological tools, and mention some Reformed folks who deserve further attention from us because their insights just might help us navigate the road ahead in post-Christendom. Before I begin, a few words of preface: I want to do this consciously as a person of subdominant culture, aware that the examples I share are all white males. Reformed theology needs growing in that department. But some white males are less ethnocentric than others. And if a theology can serve the marginalized, then it also might have the ability to serve the church in the Western post-Christendom. These believers didn’t self-identify as Reformed, but the parallels seemed evident to me. Over time, it dawned on me how the doctrine of God’s sovereignty would be precious commodity to a people who have experienced oppression and live under unjust conditions. Here are a few Reformed heroes who demonstrated the use of a Reformed theological tool for the sake of God’s mission in their place. We have much to learn from them. Abraham Kuyper’s most famous quotation is: “There is not a square inch in the whole domain of our human existence over which Christ, who is sovereign over all, does not cry: Mine!” Kuyper is the poster boy for Reformed world and life view, but he has often been criticized (and dismissed) for his participation in the colonialistic, imperialistic Dutch government, and various people have blamed him for providing theological justification for unjust power structures like Apartheid in South Africa. However, it can be argued that Kuyper’s theology has been misappropriated by those interested in reinforcing the status quo of white supremacy in South Africa, and his theology, when properly understood and applied, instead should lead to liberation and justice. Vincent Bacote, an African American theologian who teaches at Wheaton and is a Kuyper scholar, acknowledges that Kuyper had colonialistic tendencies (as a product of his time), and this gives Bacote personal problems, yet Bacote still maintains that Kuyper’s theology has much to benefit us today. Take Kuyper’s theology of common grace. Common grace, firmly rooted in the Reformed tradition, lays the foundation for a positive Christian cultural engagement with a pluralistic world. Let’s apply the concept of cultural engagement to the marginalized church. For them, engagement with the world isn’t an extracurricular option for Christians—something the Peace Corps types are into but not necessarily a part of the main mission of the church. Christians experiencing oppression don’t have the luxury of separating themselves from the world. Instead, cultural engagement is a matter of life and death necessity, and in the common grace framework, the prophetic call for justice and working to build a more righteous society becomes foundational to the Christian faith. Take another example. In the field of community development, John McKnight talks about Asset-Based Community Development. When we look at “communities of need,” we usually list down what’s wrong with the community, what problems it has–failing schools, low employment, addiction, etc. So the solution prescribed is usually bringing in outside resources to meet these needs. McKnight contends that this approach doesn’t work. It creates dependency, an unjust condition brought on by the outsider’s paternalism, and we’ve cast aside the assets, the strengths of the community that should be cultivated if the community is truly to be whole again. So McKnight tells us: look for the strengths of a community. How I interpret McKnight theologically is: look for the common grace that’s already at work within these communities. To me, the doctrine of common grace provides the theological framework for presence in the world, listening to the Spirit, and joining the work of the Spirit of God already at work among the marginalized, and resist withdrawing into a separatist Christian subculture. Nicholas Wolterstorff has literally written the book on justice, and he’s my second example. It was from him that I learned to think in terms of shalom as the goal of creation and of redemption—a wholly healed world in which every creature experiences flourishing in every dimension of its being and delight in every one of its relationships–with God, with each other, and with creation. Jesus came to redeem and heal not only our alienation from God, but also our alienation from ourselves, each other, and creation itself. Everything that experienced decay and disruption was healed and redeemed under the rule of the King of shalom. Here was a vision of redemption that was totalitarian in its scope. So to be a Christian means to be divine image bearers in the world, to participate in God’s redemptive work against every dimension of fallenness, sin, and injustice–everything that has to do with death–and live towards shalom, flourishing, a society marked by justice and righteousness. In other words, a world-transformative Christianity. What’s wonderful about this vision is that we have the possibility of a true priesthood of believers. Every vocation, every work, whether arts or business or politics, is holy work unto the Lord, not just the work of the clergy. Things like reclaiming an abandoned, trash filled lot and transforming it into a community garden is a participation in God’s work of shalom. Being a righteous politician working to reform a corrupt system into something that approaches justice is participating in God’s work of shalom. his leadership of the Urban Mission Program for more than 2 decades at Westminster Theological Seminary, which became the first evangelical seminary to offer urban mission studies in the 80s when the city was not the attractive destination for evangelicals that it is today. In other words, Harvie Conn personified a type of Reformed theology that did not just deal with elite and privileged concerns of armchair theologians and pastors of wealthy congregations in the suburbs, but rather one that was cultivated among the poor, in the streets of the city, for the sake of mission and shaped by mission. While ministering among prostitutes in Korea, Harvie endured beatings by pimps–this is how he earned his stripes as a theologian. In his Evangelism: Doing Justice and Preaching Grace, he tells the story of how he would work at evangelizing the prostitutes and study Bible with them, to save them from their life of sin, hoping for change. Nobody changed for a long time, until finally, someone did, and that person, he said, “was me.” This was his Copernican moment–he realized just how completely his American middle class morality defined his worldview, including his outlook on these women. These women weren’t just “sinners” who needed saving (as his privileged theology had taught him); they were also “sinned against.” This experience led him to read the Scripture differently, to do theology differently–from the bottom up. Back in the US, he taught Urban Mission at Westminster and he worked in Philadelphia with folks like Bill Krispin, Roger Greenway, and Manny Ortiz (whom I also count as my teacher and mentor), and this led him to reimagine the cultural mandate. The cultural mandate was also an urban mandate, to be city builders and culture-makers. God’s image bearers were to live out his likeness by living out the call to build an urban society that is just, righteous, and doxological. In our age of global cities, when 1 billion around the world live in urban slums, when our missiology and theology must be urban, these insights have immense value. Let me mention another one. As he interacted with Majority World theologies and with other cultures in the city, he became aware of just how crucial contextual presuppositions in our theology were. Your sociocultural vantage point matters a great deal, and you need others who differ from you, especially those whose voices are not usually heard, those who “don’t matter” in this world, to participate in the process of theologizing. Those in privileged positions in the Christian West, in order to be faithful in their theology, needed to decontextualize themselves. They needed self-awareness as interpreter and as contextual theologizer. The great Reformed confessions were not ultimate theologies, but contextual theologies. In new contexts, like the context we now find ourselves in, fresh contextualizations need to take place, and we should not simply double down on insisting the world go back to a time when Christians were in power. By God acting to shift the center of Christianity southward in our day, this may very well be happening for Reformed theology, and that may be something we need to welcome. The Reformed tradition needs critiquing. In fact, self-critique is hard-baked into good Reformed theology. The doctrine of radical depravity should start at home. A good Reformed theologian should never forget their own blind spots—they are fallen and they don’t see everything, just like everyone else. So let the constructive critiques continue—they will help us all to grow, and help Reformed theology to be always reforming. But I also want to make an appeal to recycle, reuse, and repurpose the Reformed treasures that can be retrofitted for our new world. There is much in the Reformed tradition that can help us and the church today. I would hate to see them get thrown out with the bathwater. Purchase and download Kyuboem Lee’s original talk at Young, Restless, and Always Reforming here.